DH and I love this rice. I think we’re just addicted to jasmine rice, and using this as an excuse to have it. I should really make the jasmine rice — as is — and see if we enjoy it as much! I serve this with tacos/burritos/etc. – Place olive oil in a good-sized saucepan over medium heat. I usually start with 2 tbsp — you can add more when you add the rice, should it prove to not be enough to coat the rice. 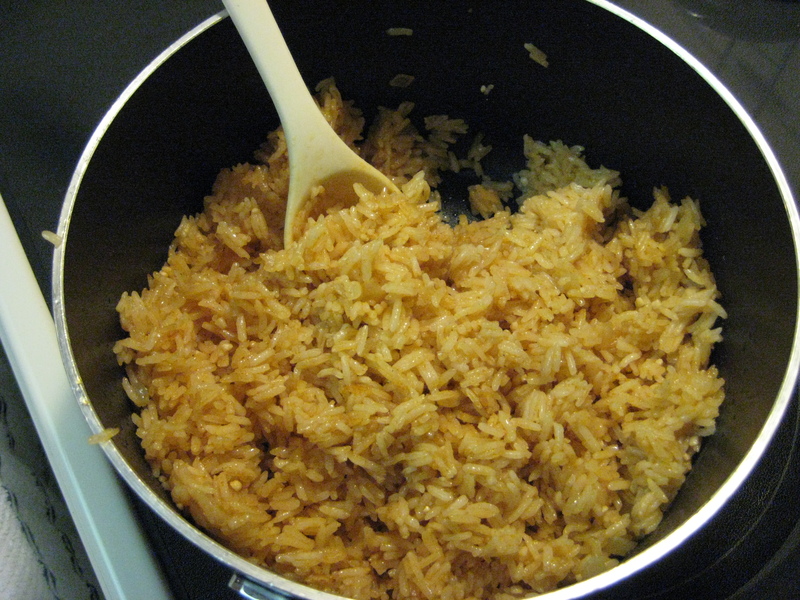 – Add the rice, and pearl the rice in the oil/garlic/onion mixture for a few minutes, stirring to prevent burning. If there isn’t enough olive oil to coat the rice, add some now. – Turn the burner off and let the rice sit for a few minutes before serving. This entry was posted on February 21, 2010 at 4:38 pm and is filed under mexican, quick, Rice, Sides. You can follow any responses to this entry through the RSS 2.0 feed. You can leave a response, or trackback from your own site.